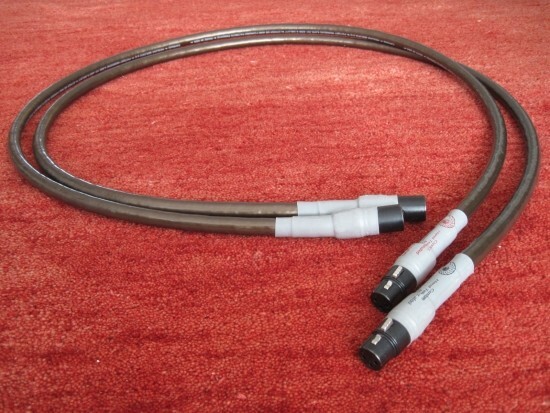 All other cardas cable types I heard sound very different from the Hexlink. Its character has to match your setup and taste though. It is very fast, open, bold and dynamic while maintaing a natural balance. 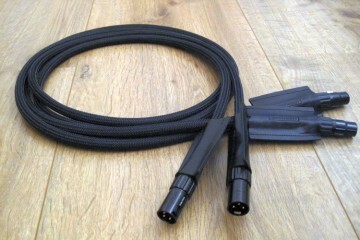 The cable is very good for acoustic music and Piano has never sounded better. 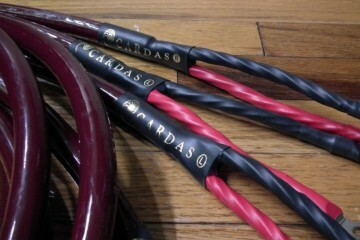 It does lack the last nth of air and fluidity that newer Cardas cables offer. 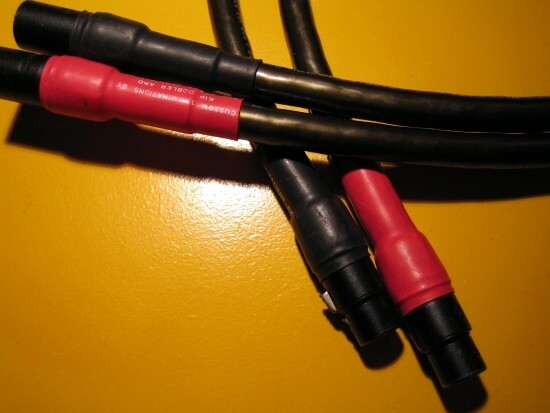 There have been various versions of the Hexlink cable and they all sound different but even under the Golden 5C nomenclature, there are as far as I am aware two versions. The older version uses black and red shrinkwrap labelled “Custom terminated by Kip Dobler and the Silent Terminators” and the later version uses grey shrinkwrap labelled “Hand terminated by the Silent Terminators”. Cardas himself doesn’t indicate that there should be an audible difference and doesn’t deny it either so it’s one of those things you can choose yourself to believe or not. For me however, it is clear that the grey sleeved version sounds smoother and airier, as if it has inherited some of the qualities of the later Quadlink. The extra finess however comes at the expense of the musically so engaging “wooden” or Live-Like tonality of the older version, which makes it sound slightly more synthetic, in spite of having higher resolution than the older version. It is however still way more acoustically convincing than the later Golden Reference. There may have been more versions even if they were never officially labelled differently, and there may be older versions that had grey shrinkwrap and vice versa. But I can say that I have had several pairs of the described versions in various points in time, and they are very consistent in sound. 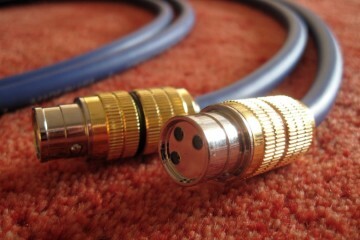 The two cables feel the same and look the same – there is no visible difference other than the colour of the shrinkwrap. Counterfeit I hear you say? Yup, already looked into that and there is no visual or audible evidence that this should be so. 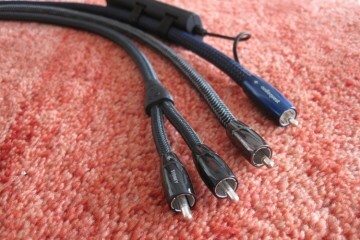 And the fact that I and my listening buddy JW both own several of these cables sort of eradicates that possibility. 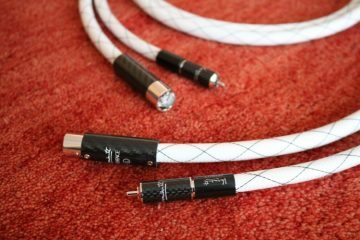 Reference Tweaks were eager to let me hear the effects of their proprietary TTL process, not only as part of the Gold Label power cable, but this time on a cable of my own. Since I had a spare Cardas Hexlink Golden 5C XLR cable lying around doing nothing, I figured why not, and gave it to Reference Tweaks for a 6 week treatment. 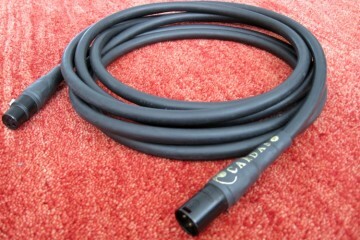 The Cardas Hexlink Golden 5C (old version) has been part of my system for well over a decade and as I mentioned above, my closest listening buddy JW also uses this cable (the old version, too) so I am very familiar with its sound. The newer cable actually belongs to JW but after we both decided that the older one fitted his system better, it has been part of my system as a test cable. 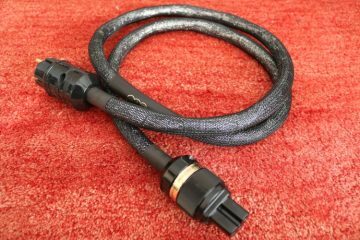 In that guise it has been used very often for components under review and as a result, I am also very familiar with the newer cable’s sound. You might ask why not hand in the exact same cable for treatment? Well, to be honest, I didn’t dare to do so because I like it just the way it is and am just too familiar with the one step forward, two steps back result that is often the case. Improvements in one area are usually offset by detriments in other areas. After inserting the T T L’d newer Cardas in place of the older untreated one, what I heard can only be described as being unbelievable. the effect is just so blatantly evident that there is no way that one could argue that T T L doesn’t work. What did I hear? A much larger soundstage for starters, with more width as well as depth, and with much better back to front layering of individual instruments. Second, treble was much, much, much more refined and airy. The older Cardas was always more rough than the newer one but the difference never was this extreme. The T T L’d Cardas just makes the old one sound rough and brittle. Lastly, low level resolution was much better, with subtle sounds sticking out more, without being harsh or intrusive. While on the subject of harshness, here again was a big improvement, as the treated cable was just so effortlessly fluid and continuous that it made the original sound ragged like a big woodsaw. Effectively, from memory, with T T L, the Hexlink moved closer to the Golden Cross character. I believe that it sounds better than the Golden Cross, which I sold again some years ago because it sounded too fuzzy and dynamically restrained. 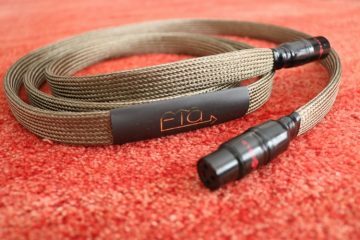 The T T L’d Hexlink Golden 5C does sound less jumpy than the untreated one but without crossing over into the fuzzyness of the Golden Cross, that made me want to sell it again. Think I am boasting my own product? Trust me I’m not. Sure, I can arrange for T T L treatment via the CP-audio website (edit-now no longer operational), but this is only a side-product and I am in no need to get this promoted, nor are Reference Tweaks, who are just so proud of this technique that they want to share it with as many audiophiles as possible. Besides, I’m not just sweet-talking the treatment, as I have also found some downsides. The newer Hexlink was always smoother and less “wooden” than the older one, but after the T T L treatment, the difference is larger still. It may well be some form of distortion that is cured by the T T L treatment, but for my taste and system, the more rough original sounds more vigorous and “live”. I feel as though the transients are sharper, even if the T T L’d cable has much better resolution and portraits subtle sounds more clearly. Of course, I am aware of the possibility for a classic case of system synergy going on. I mean, my system has its peculiarities (for one it can lack dynamics) and the untreated Cardas probably just compensates for it very effectively, even if I am painfully aware of its shortcomings. This review isn’t really complete yet. 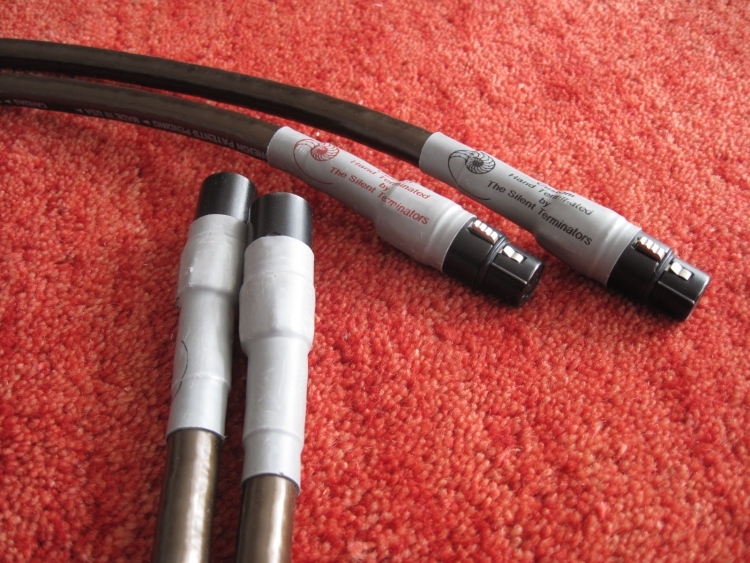 I feel that I should compare the treated Cardas to my Transparent Ultra XL cables, and also I know that I should try the cable in other people’s setups. It’s just that I lack the time to do so recently, but if I do get around to run more tests, I will of course report here. In the meantime, I think it is obvious from my findings so far that a T T L treatment has very real effects, some of which are nothing short of stunning. However, as always, system sound is a matter of synergy and it seems that my system has evolved using the same untreated cable and as a result when substituting for the treated cable, sounds less lively that way, even if it is painfully clear that the T T L treated cable has much better resolution, soundstaging, fluidity and overal smoothness. Meanwhile I have tweaked my system to sound more lively and focused and I am so happy with the T T L’d Cardas that I have requested treatment for the other Hexlink too. 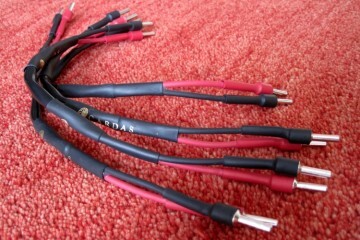 They are now my default reference cables on Wadia products. 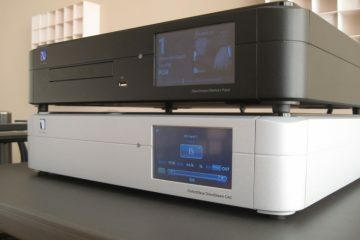 I have one on the Wadia 521 and one for review components. While Hexlink will never become a Clear, it really does get much closer now. Seeing your familiarity with pieces of my set up, are there other ICs besides these two you recommend? I know you state you can’t make personal recommendations. This question is asked of you to make sure I’m considering all worth candidates. 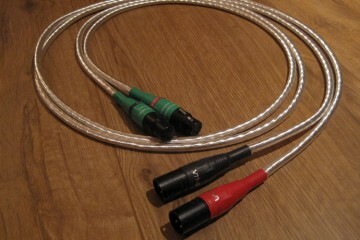 The (relative) harshness of my digital is hurting my ears and I’m hoping proper cables can help! Cardas Golden Cross, or Golden Reference to a lesser extend, will certainly tame brittle treble, but also dull refinement to some extent at the same time. Then again if you want to “mellow up” your sound there is no real way around that. I find that Transparent Ultra XL also minimises harshness while retaining all refinement and air. I use them on components that don’t need the extra “kick” of Hexlink Golden 5C. The TTL is not working anymore? Maybe they just “cooked” the cable with a stronger signal. No, it seems that the T T L effect remains in place. 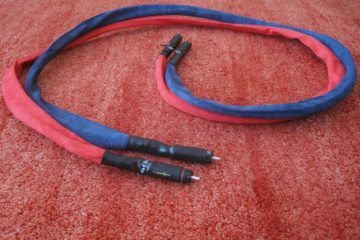 I’ve compared the cables recently to a buddy’s non-treated ones and the difference is the same as before.